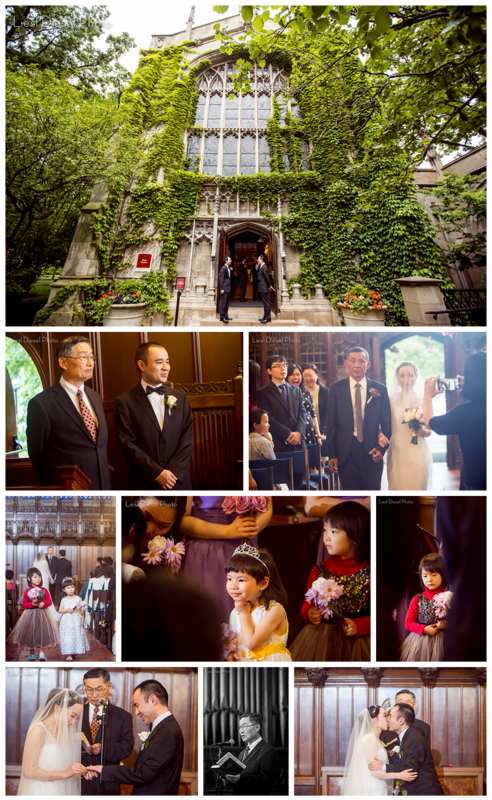 Xioli & Zhangli hired me to fly out to Chicago for their wedding ceremony at The University of Chicago Bond Chapel followed by their Chinatown wedding reception. 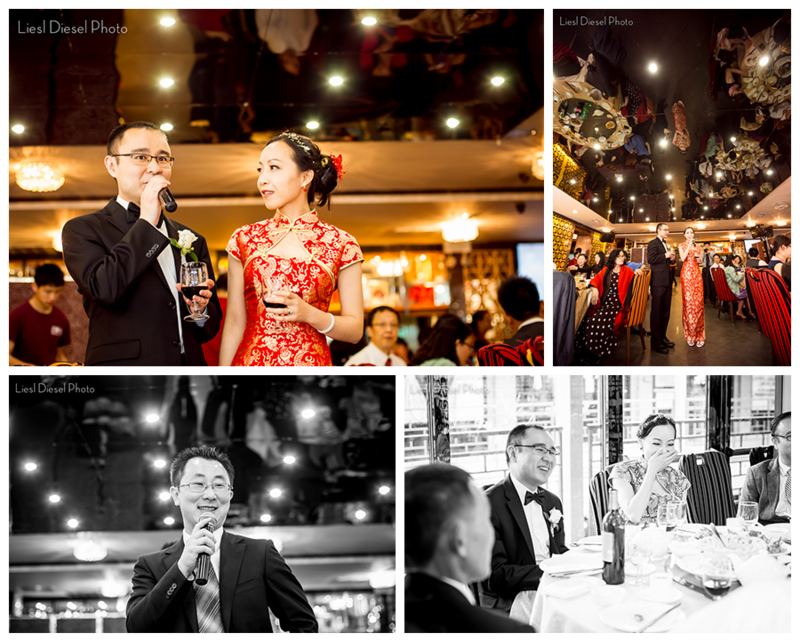 It was a beautifully intimate event and their closest friends and family traveled from all over the globe to witness and support their union. 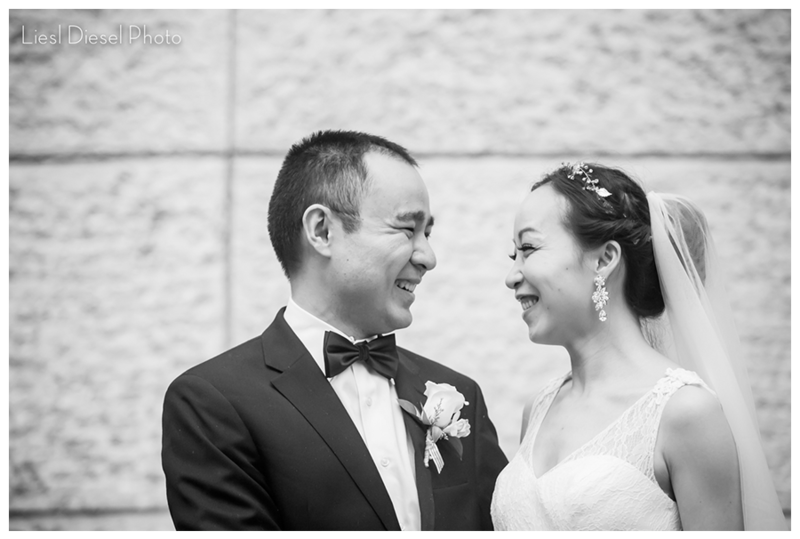 Xioli of course had two dresses, the first white gown for the wedding ceremony, and a traditional Chinese red silk wedding gown for the reception! 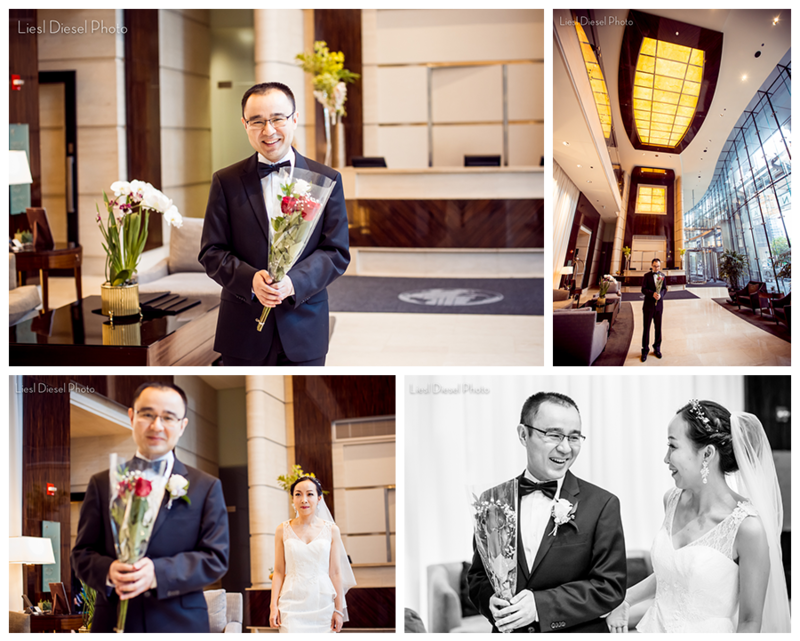 After preparing in her room at the Trump Hotel in Chicago, Zhangli & Xioli had their first look in the lobby! 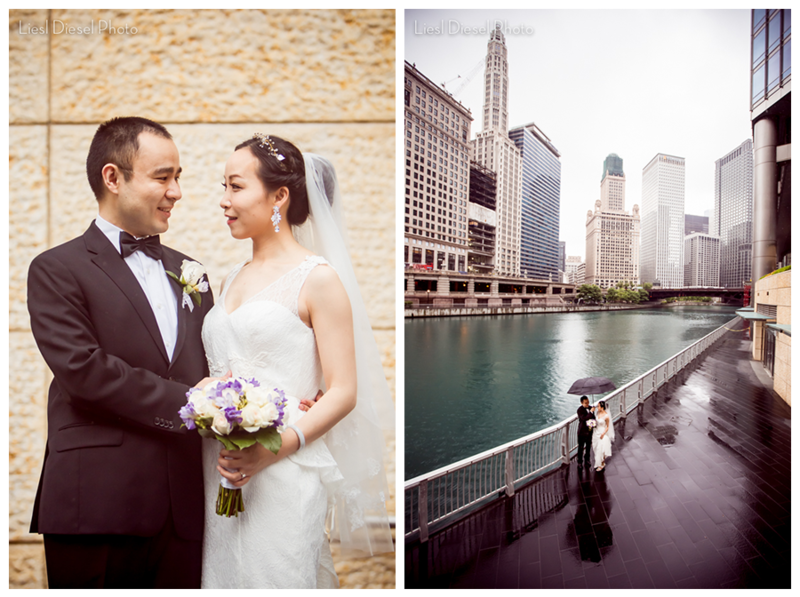 It was a rainy Chicago day, so I found this beautiful spot outside the Trump Hotel to photograph some elegant portraits with lights of the city reflecting in the glass. 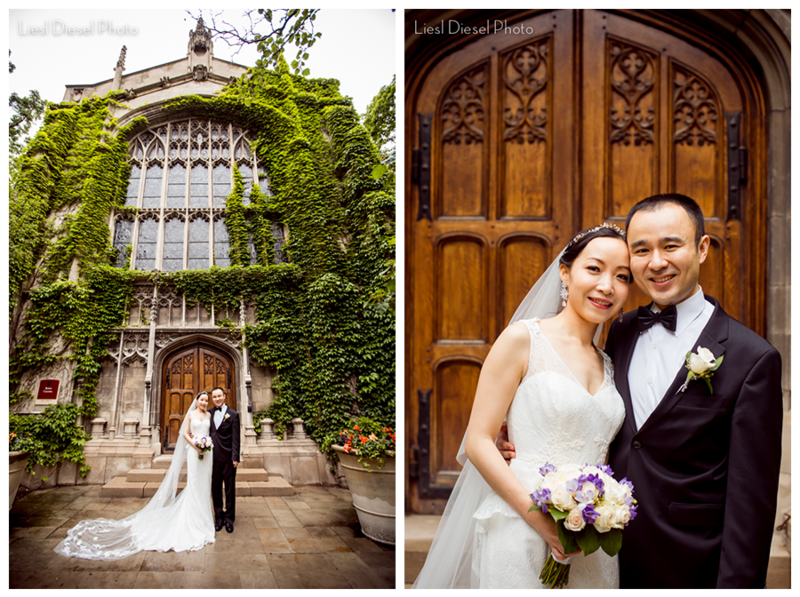 I love the beautiful green ivy that grows on the University of Chicago Bond Chapel! Even on a cloudy rainy day it glows! 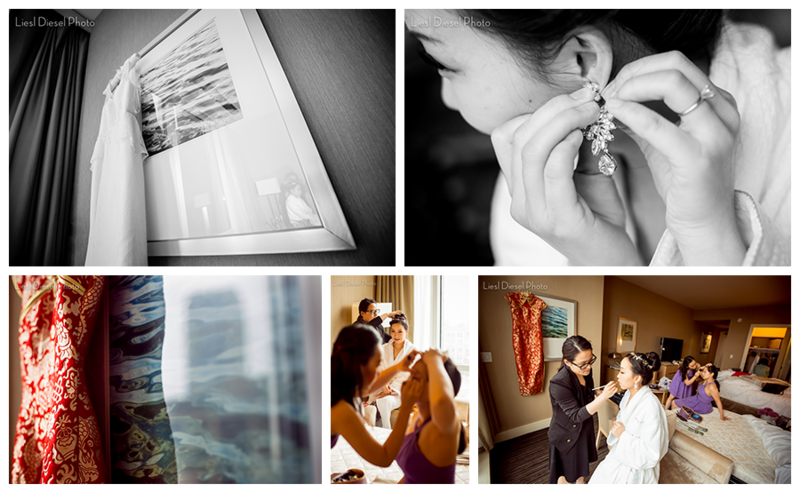 Thank you so much for trusting me with documenting your wedding! 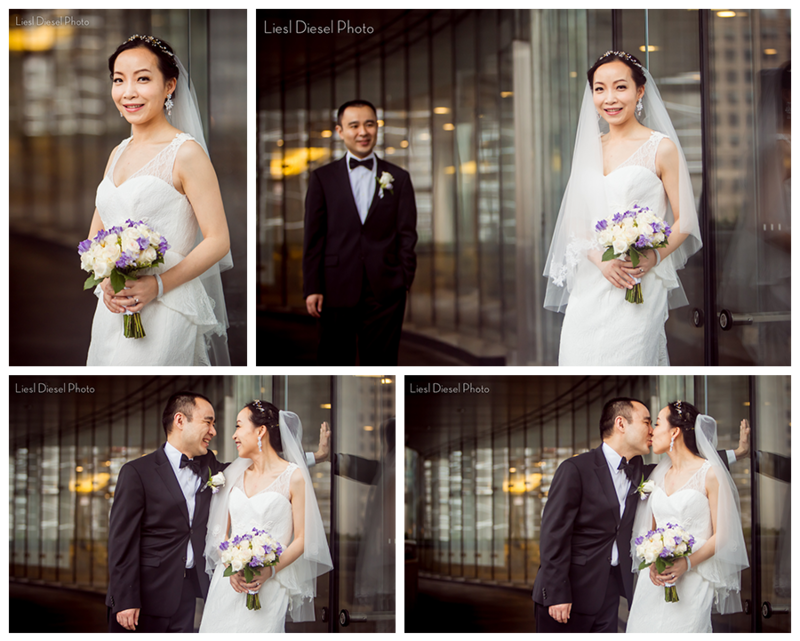 This entry was posted in chicago, Chinese weddings, Destination Weddings, Weddings and tagged bond chapel, bond chapel wedding, chinatown wedding, chinese wedding, liesl diesel photo, university of chicago, university of chicago wedding. Bookmark the permalink. I love, love, love that walking shot with the umbrella! Gorgeous work! Gorgeous wedding, I love all the colors! Great work!